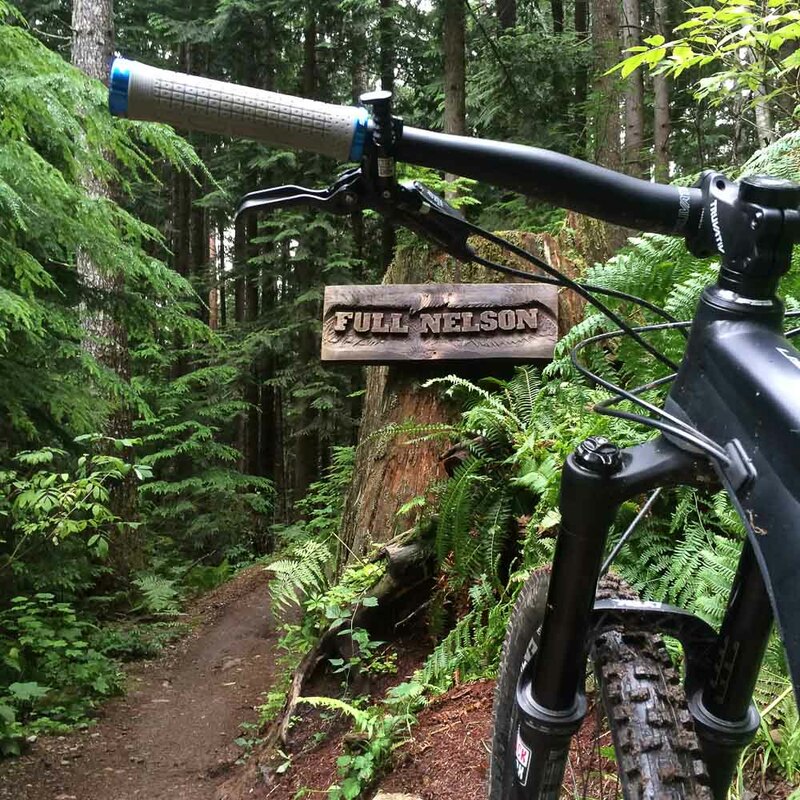 When Half Nelson was first built, it was a bit of a revolutionary trail in Squamish. All of a sudden, to add to our world-class singletrack, we had a machine built bike park style trail that was fun for riders of just about all abilities. Everyone from the intermediate rider to the local youth ripper to the seasoned pro could have fun on this trail. I once heard a legendary trail builder say that it’s important to build trails where the difficulty of the trail is not decided by how hard or technical the features are but by the speed at which you ride the trail. For Half Nelson and its little brother Full Nelson, this is absolutely true. Full Nelson is a shorter version of Half Nelson but with a few option lines that ramp up the difficulty a little. Both trails are like downhill pump tracks; the faster and harder you pump, the more difficult the trail becomes. You can roll everything or gap everything. Spend the ride wheels down or in the air. It’s up to you. Either way, they are an absolute gas. But the best part? Going back up for seconds is easy on the purpose-built Legacy Climb Trail.